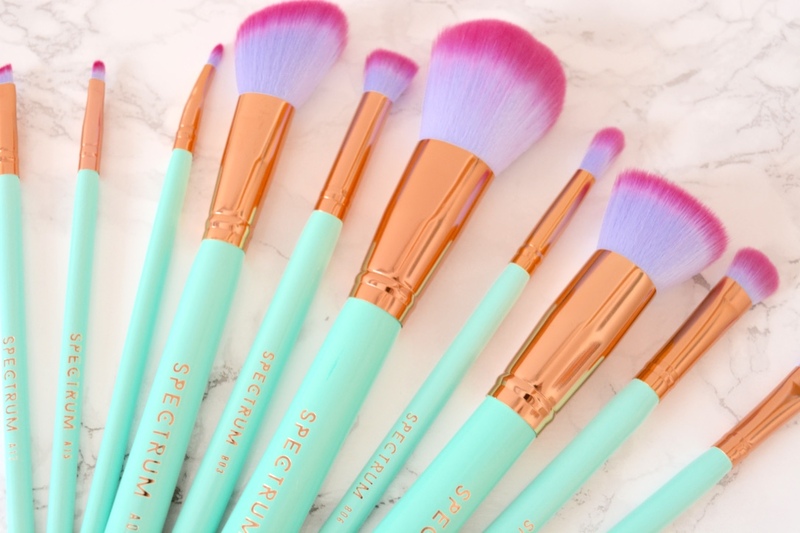 Spectrum Collections have been making waves with their gorgeous brushes, which are not only pretty but cruelty free and vegan. 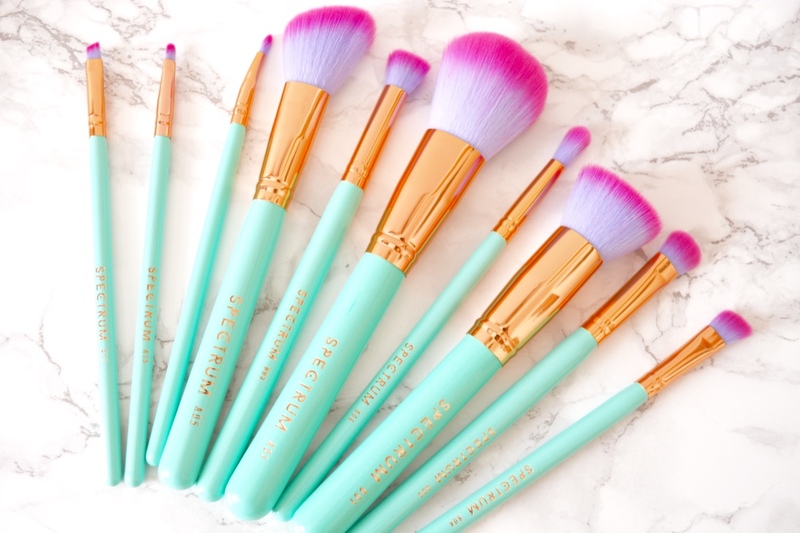 You'll be hard pressed to find a blogger that hasn't blogged about these stunning brushes or included them in a flatlay or two. It's not difficult to see why, they are very Instagrammable and just look magical! I've been lusting over buying one of their sets for a while now and took the plunge a couple of months ago, I bought the mermaid inspired Glam Clam and was so excited when I received it in the post. I am obsessed with the Spectrum Collections Glam Clam makeup brushes, and I love that they feel so soft and are stunning at the same time. The brand has done an amazing job and the quality is simply amazing, the saying 'you get what you pay for' couldn't be more true. 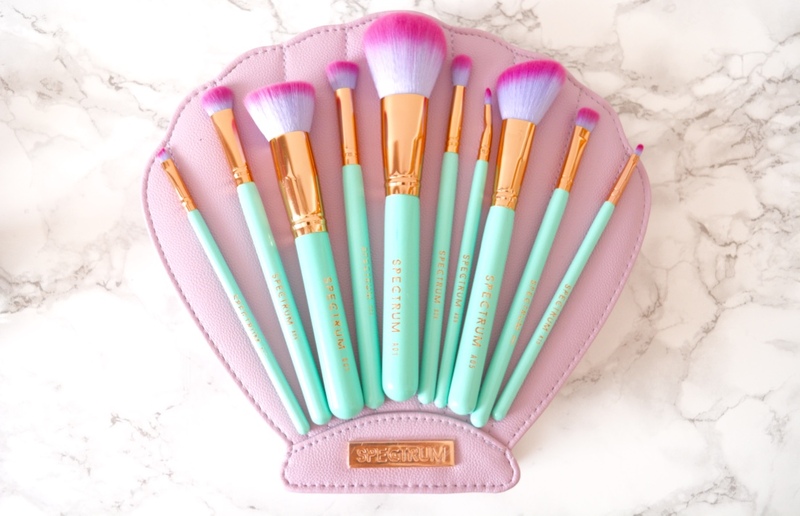 The Glam Clam set costs £59.99, which is a little bit expensive but there are 10 brushes in the set and that makes one brush roughly worth £6. If you love all things beauty related or are looking for a great gift for a friend/ family member, then look no further as this is perfect if you are makeup obsessed.